Saturday, September 6: Family Gathering at my Aunt & Uncle’s house. With Koegel’s, of course! Serve the curve. Mmm, I hadn’t had a good hot dog in ages. Hit the spot. It was fun seeing everyone – aunts, uncle, cousins, parents! 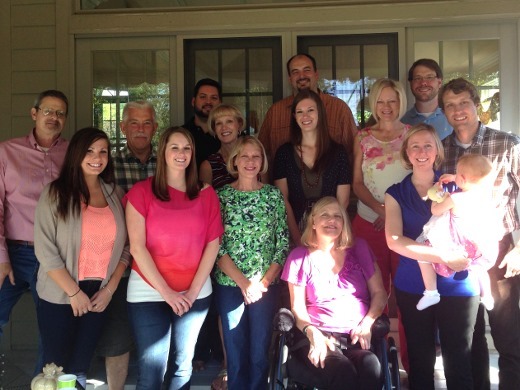 Here we are circa 2013… any fam members want to send me an updated group photo for 2014!? 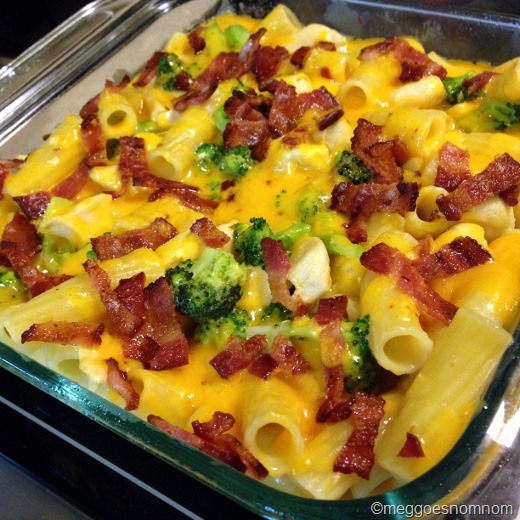 Sunday, September 7: Chicken Broccoli Mac and Cheese with Bacon. This is the second time I’ve made this recipe from Cooking Light and I liked it even better the second time around! And yes, I said the recipe is from Cooking Light! There is a little trick in play here – a pinch of turmeric is added to the cheese sauce, which makes you perceive the sauce as cheesier than it actually is (and it works!) 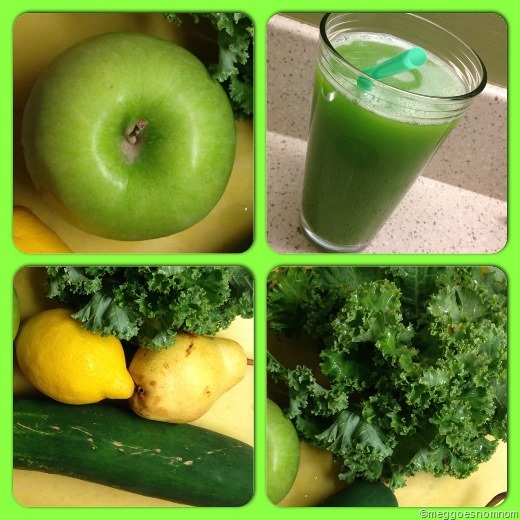 The flavor is not impacted negatively by any means – this stuff is delicious and comforting! And yes, there still is a modest amount of cheese added – 5 ounces. 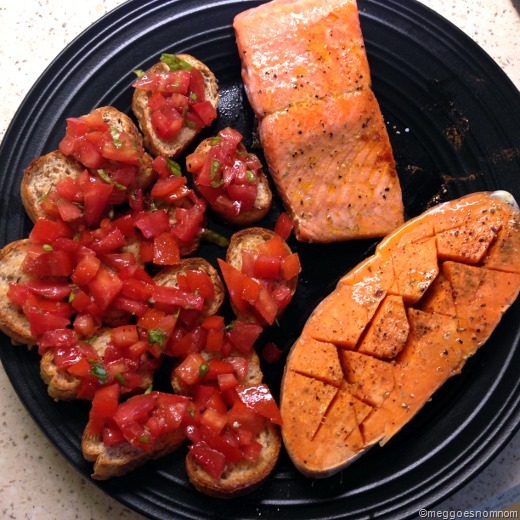 Monday, September 8: Wild Alaskan Sockeye Salmon, Tomato Bruschetta, and Baked Sweet Potato. 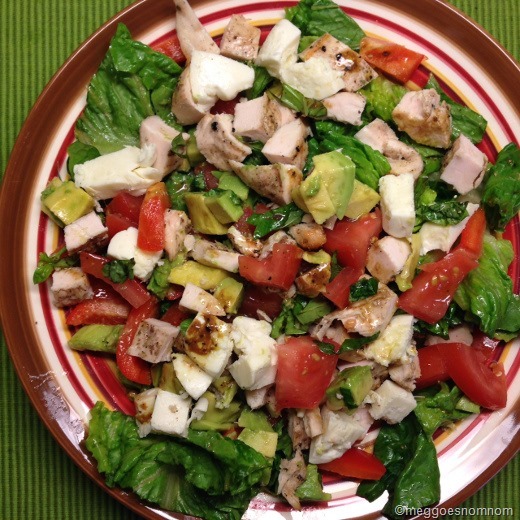 Tuesday, September 9: Avocado and Chicken Caprese Salad; recipe from Iowa Girl Eats. Wednesday, September 10: Pizza Wednesday, just because! 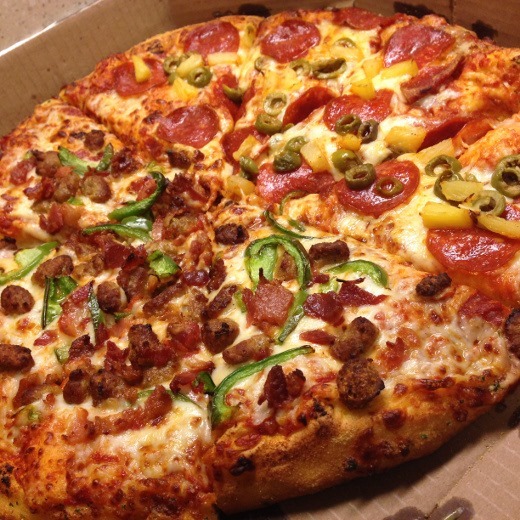 From Domino’s. 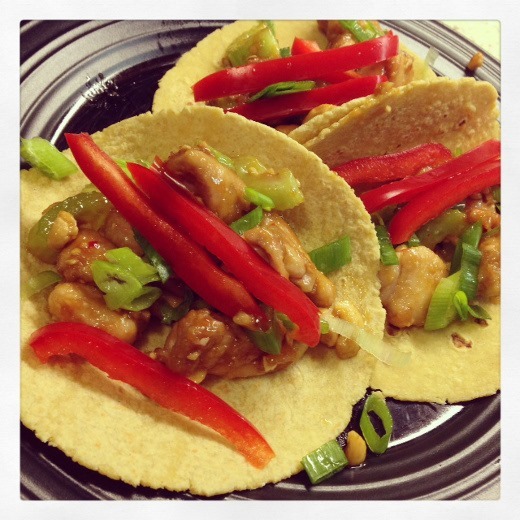 Thursday, September 11: Kung Pao Chicken Tacos. Part of our usual dinner rotation. They never disappoint. 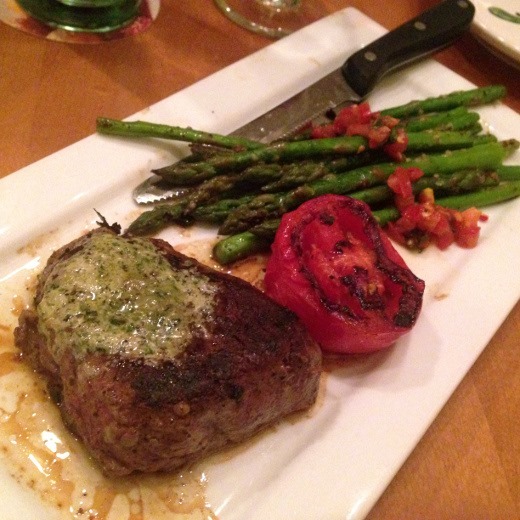 Friday, September 12: We used a Olive Garden gift card that received for our anniversary for dinner – I tried one of their new offerings: Filet Mignon with Grilled Veggies. Yum! Also soup & breadsticks, of course. 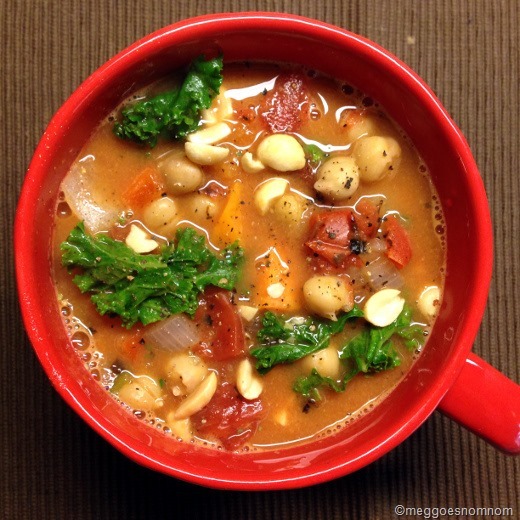 Saturday, September 13: Soul-Soothing African Peanut Stew from the OSG Cookbook. I’m telling you guys, you really need to get this cookbook. I’ve now made every soup in it except one and every single one has been fabulous. Sunday, September 14: I flew to Washington DC on Sunday afternoon in preparation for a meeting related to work that was held all day Monday and Tuesday morning. 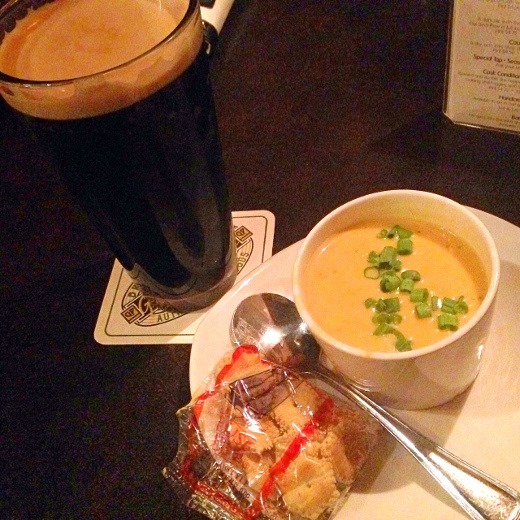 I stayed at a hotel in the Dupont Circle area of the city, and strolled over to Teddy & The Bully Bar for dinner with a couple folks from my office. I had the red snapper for dinner and it was delicious. Teddy Roosevelt once lived across the street from the restaurant’s location during his tenure as Assistant Secretary of the Navy under President McKinley. 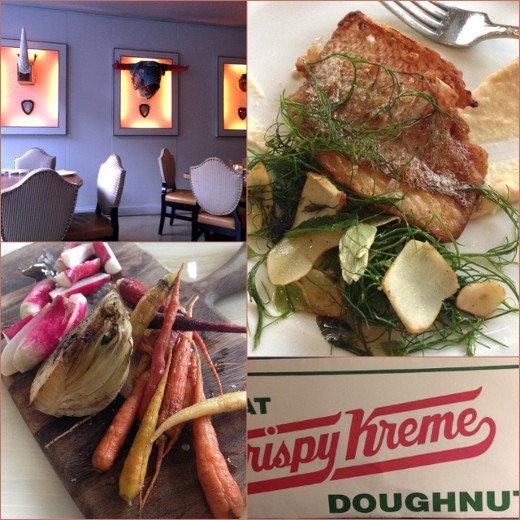 Also, Krispy Kreme may or may not have happened afterward. I can neither confirm nor deny. Monday, September 15: After spending 8:30 AM – 7:30 PM at the meeting (gah! ), I attended a group dinner at Jardenea in Washington DC. 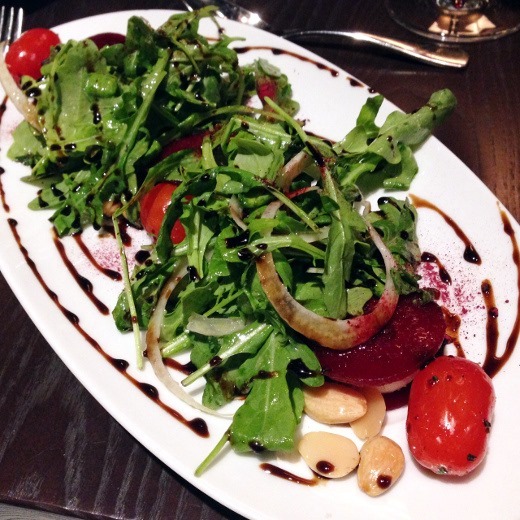 I began my meal with a goat cheese and beet salad with arugula, onion, marcona almonds, grape tomatoes, and a balsamic dressing. The restaurant made little sliced beet “oreos” with a goat cheese filling. Swoon. 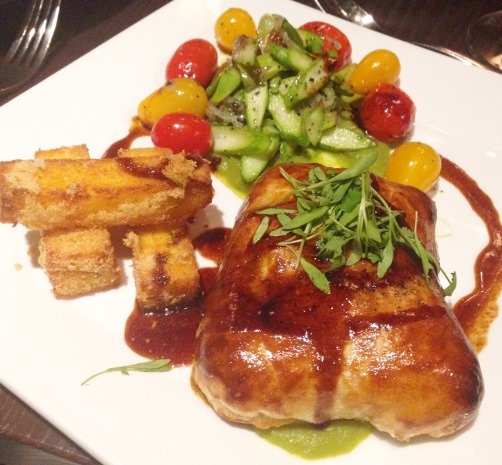 I was ravenously hungry by the time dinner rolled around, so I ordered this hearty Beef Short Rib en croute dish (tender, boneless short rib wrapped in pastry), with polenta fries and asparagus puree, sliced asparagus, and roasted grape tomatoes. 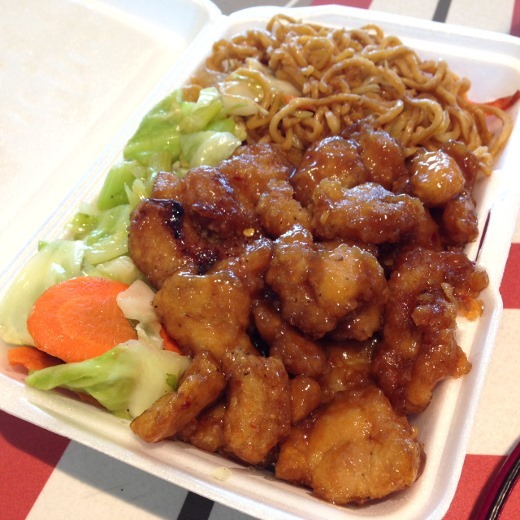 …yeah, Chinese food totally happened… I wasn’t very hungry for dinner when my flight arrived back in Michigan that night, so I just made some juice with the produce in my fridge. More info on this juice soon! The huz and I both traveled for work this past week, but he arrived back home a couple days later than me, which meant that Wednesday’s dinner was on my own. I met up with Five Cent Femme for dinner (and beer) at Grizzly Peak. 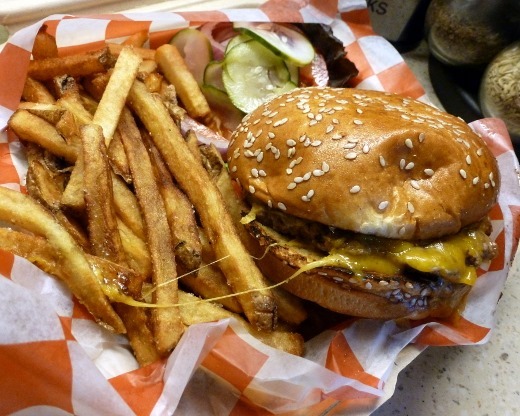 Thursday, September 18: In honor of National Cheeseburger Day, I tried a burger and fries from the “diner” at Whole Foods. It was good! I’d get it again. Pretty affordable too, for what you get. 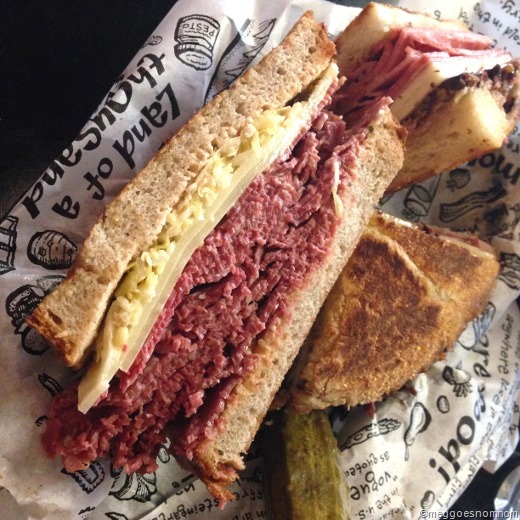 Friday, September 19: The huz’s dad was in town visiting, so we all hit up Zingerman’s Deli for dinner. The huz and I went halfsies on a couple sandwiches. Good stuff! 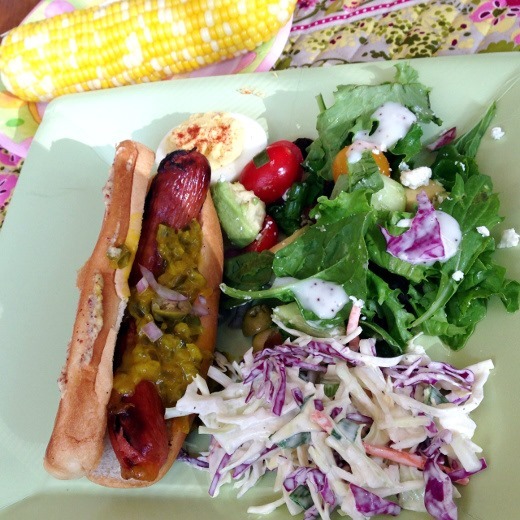 Saturday, September 20: Cheesy Meat Loaf Minis, Cumin Roasted Carrots, Kale Caesar Salad. 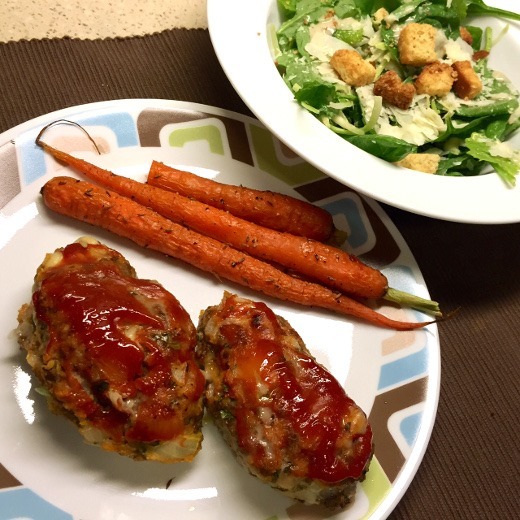 I received a few requests for the mini meat loaves recipe via Instagram. Here’s the link to the recipe! 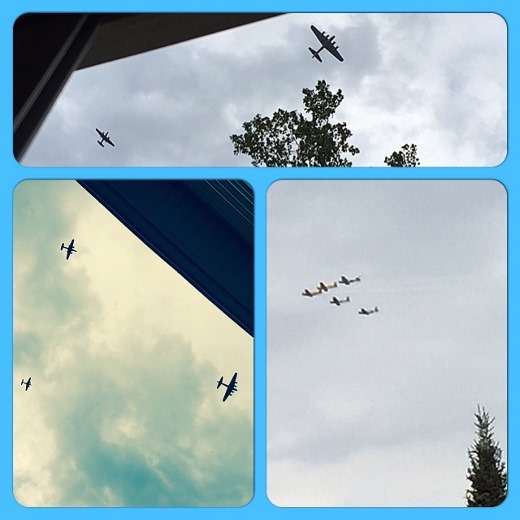 Despite the utter ugliness of the Michigan football game last night, it was still neat seeing the 15 featured planes flying over our neighborhood around kick off time!